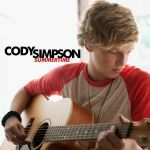 To be honest, this is one of the best songs I've heard from Cody Simpson AND Justin Bieber. It's not that bad. I don't get it to go from a song like IYIYI to this song which is way better then IYIYI,still average though...the next Baby? Pop rubbish with no substance whatsoever!! Cody, yeah, you are not that talented!